ilmmaker Joel Coen has said, “If the material is challenging, it forces you to challenge yourself when handling it.” For the past 30 years Joel, along with his brother Ethan, have created films that tackle the most comical and confounding aspects of human nature. With their penchant for the unexpected, the brothers have created a signature style. Much of this cinematic magic is a result of their well-developed screenplays. But what exactly about their writing makes the Coen brothers so unique? In this post, we’re going to examine three influential motifs in the screenwriting of the Coen brothers. As the Dude might say, these elements really tie the story together. There’s no denying that when you think of the best Coen brothers movies, you often think of violence. From Blood Simple to Burn After Reading, acts of violence populate the narrative and influence the characters. But what sets the violence of Coen movies apart is that these acts of aggression are necessary. In an action or horror film, the violence on screen is frequently gratuitous. It is meant to shock, and compliment the over-the-top, fantastical storylines. For the Coen brothers though, excess is not the objective. If violence is used, it must be unavoidable and appropriate. Take the moment in True Grit when Mattie Ross finally confronts Tom Chaney. No matter how it is undertaken, the Coen brothers want to make clear that violence is a destructive act. Perhaps most importantly, it has consequences for both the victim and the perpetrator. Here, after a long and arduous pursuit, Mattie finally comes face-to-face with her enemy. But after delivering the lethal shot to Tom Chaney, the recoil of the weapon propels her into a snake-infested cavern where she is bitten. In these instances, violent acts are not drawn out. They happen abruptly and often matter-of-factly. It is the stark and sudden ferocity of these moments that disturbs the audience rather than excites them. For Joel and Ethan Coen, if one is going to engage in violence, they must prepare to be a victim. Even if they are inflicting pain, chances are they are not going to walk away from the encounter unscathed. In fact, more often than not, characters in Coen brothers films have no choice but to engage in violence. Through circumstances both of their own making and not, they must resort to violence as a means of survival. Consider the moment in No Country For Old Men when Llewelyn Moss first encounters Anton Chigurh. This is an apt statement when describing the narrative. As in most Coen movies, violence is never glorified. Here, Llewelyn literally has his back against the wall as he prepares for Chigurh’s attack. There are no acrobatic action moves or thumping music to enhance the violence. Instead, Llewelyn’s strained breathing and Chigurh’s slow footsteps provide the most appropriate soundtrack. Here, violence is what it is. An unpredictable, harmful act where both lives are forever altered. It is the reverence for the complexity of violence that elevates the Coen brothers best movies. In Hollywood storytelling, we’re used to our protagonists being dynamic and able to persevere against impossible odds. In a Coen brothers film though, the protagonist is often the most hapless, self-destructive character of the bunch. In essence, the protagonist is their own antagonist. As they navigate the narrative world, their plans and schemes go awry due in large part to their own misguided behavior. Take the scene in The Big Lebowski when the Dude is harassed by a couple of henchmen in his home. These characters are not anti-heroes, but non-heroes. The most common of common individuals. As Ethan Coen said, he and his brother are interested in the losers. Men whose masculinity is challenged, characters who are wrongly imprisoned and artists undermined by a greedy, corporate machine. By focusing on such an unlikely protagonist, the Coen brothers lay the foundation for an increased, more complex type of humor. Instead of smoothly progressing from one event to the next, a character, often because of their own ineptness, must survive one hilarious disaster after another. It’s an extreme form of the ordinary character in extraordinary circumstances, and keeps the story fresh and unexpected. 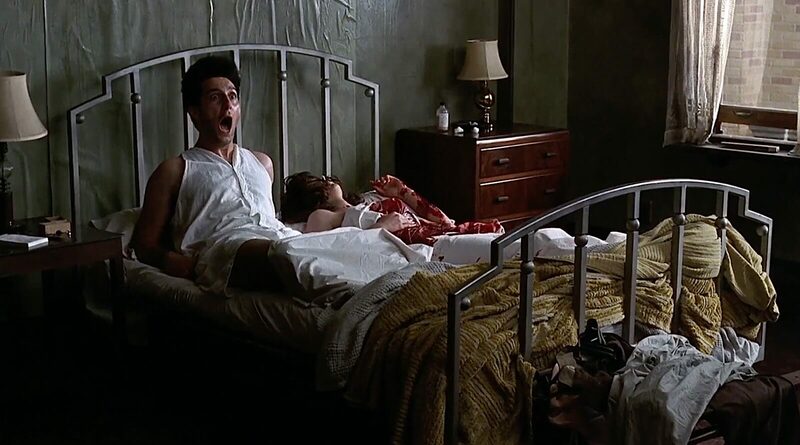 Consider the moment in Barton Fink when the frustrated author discovers the murdered Audrey Taylor in his bed. Every time Barton lowers his guard, trouble emerges. Barton knows he’s floundering in the Hollywood studio system, but never imagines he’ll be lying next to a murdered woman. As much as we hate to admit it, there’s a strange attraction to watching his suffering. Ultimately he becomes an artistic Job, and in many ways, it’s as if the hand of some supernatural force is preventing his progress. This is what makes the Coens' approach to screenwriting so fascinating. By challenging our perceptions of how a protagonist should operate, they in turn create a more original and unpredictable journey for both their characters and the audience. It’s fair to say that in life and storytelling we prefer resolution. Whether happy or sad, the need for conflict to be put to rest has become a natural expectation. In fact, most screenwriting guides will encourage that a clear, unambiguous ending be implemented. Looking at the Coen brothers filmography though, this has never been a primary objective. More often than not, conflict is left intentionally unresolved. The idea that the hero will obtain their love interest and ride off into the sunset is a foreign concept to the brothers. The idea instead is to mimic the frequent uncertainty of our own reality. 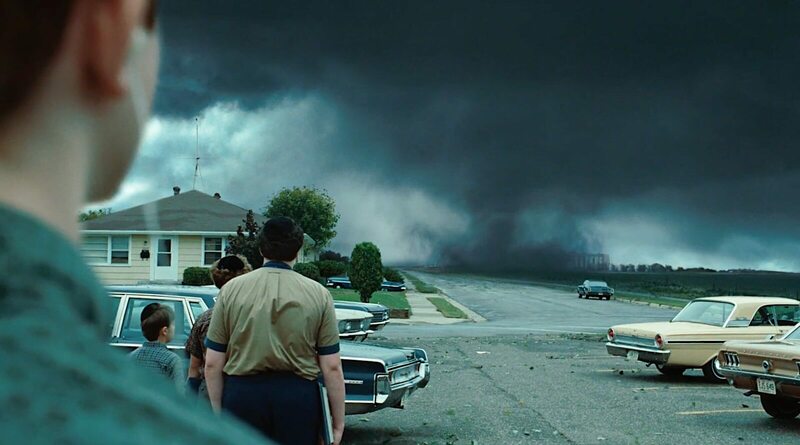 Take the end of A Serious Man when Danny Gopnik watches a tornado approach his school. Will the tornado destroy Danny and his friends? Will they seek shelter and escape? Why introduce a tornado in the final moments of the film? For Joel and Ethan Coen, ambiguity is a strong screenwriting tool. By keeping the resolution vague, the audience can draw a different interpretation with each viewing. Whether or not the brothers are intentionally trying to subvert the tropes of the medium is secondary. The primary point of interest is that they are creating a much more expansive canvas to work with. Consider the final moments of No Country For Old Men, when Ed Tom Bell is discussing his dreams with his wife. In this moment, many viewers scratch their head and say huh? What are these revelations supposed to mean? When an author completes a work and sends it out to the world, it is no longer theirs. The ownership of the piece becomes difficult to define, for the whole world can lay claim to its influence. Now, everyone is free to build upon its meaning. Some authors wish to fight against this phenomena. Joel and Ethan Coen though embrace it wholeheartedly. Frankly, it is a generous act on their part. For the mystery, and unending nature of these pieces gives them an eternal quality. As we can see, a traditional ending does not need to be present in every screenplay. And sometimes, what is left unsaid can be just as compelling as what is. As we’ve seen, Joel and Ethan Coen take the unconventional aspects of screenwriting to enhance their stories. Remember, it’s often the unusual that engages with an audience, and keeps them invested in the narrative. 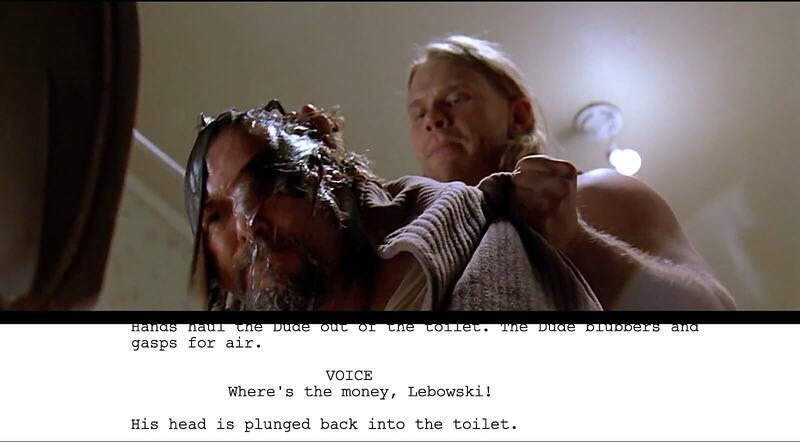 Lucky for us the Coen brothers shied away from sanitation, and instead embraced storytelling. Want to create your own script breakdown? Sign up for StudioBinder and start building your project for free. And if you want to learn more, check out our Mastering Screenwriting video series!